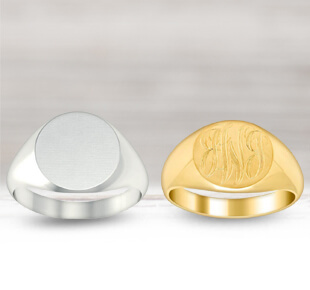 Signet rings are a timeless and meaningful gift for men and women for all occasions. 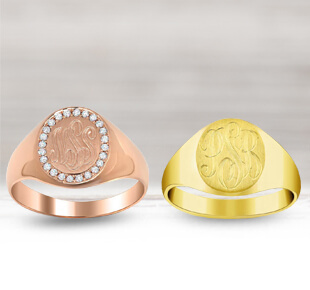 Our custom gold signet rings are able to be personalized and engraved with monograms, initials or even family crests. 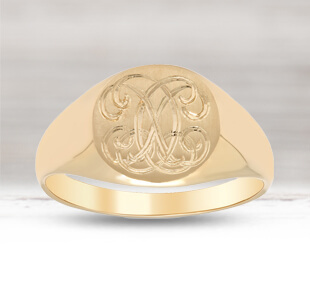 From standard gold engraved rings, we can also create signet rings with diamond letters and accents. We also offer custom signet rings for businesses to signify milestones with the company. Shop our incredible selection of signet rings today.